Letter to Ayatollah Ali Khamenei regarding the six-year prison sentence imposed against Hamid Babaei, a doctoral student at the University of Liège in Belgium, urging Iranian authorities to grant Babaei an appeal to overturn convictions related to his academic activities, resulting in his release. Letter to Saudi Arabia's Minister of the Interior HRH Prince Mohammad bin Nayef bin Abdulaziz Al Saud expressing concern regarding the politically motivated charges and conviction of Economics Professor and Saudi Civil and Political Rights Association (ACPRA) co-founder Mohamed Fahad al-Qahtani. Letter expressing concern about H.R. 4009, which would prohibit the use of Higher Education Act funds for colleges and universities "participating" in a boycott of Israeli academic institutions or scholars. Letter expressing concern about New York State Assembly bill A8392A, which would prohibit the use of state funds by colleges and universities for faculty memberships in, or travel to meetings sponsored by, academic organizations which have adopted boycott resolutions. Letter to Indiana University President Michael A. McRobbie regarding his statement on the American Studies Association's call for a boycott of Israeli institutions of higher education. Follow-up letter to Shaikh Hamad bin 'Issa al Khalifa regarding the maltreatment of Dr. Abduljalil Al-Singace, a professor sentenced to life in prison on charges of attempting to overthrow the government. His health demands immediate attention and proper medical care which are going untreated. – Letter to PM Hazem al-Beblawy about the worsening climate for free speech and peaceable assembly on university campuses in Egypt. Letter to Shaikh Hamad bin ‘Issa Al Khalifa regarding Dr. Abduljalil Al-Singace, a Professor of Mechanical Engineering and a noted human rights activist, who was sentenced to life in prison on charges of attempting to overthrow the government. 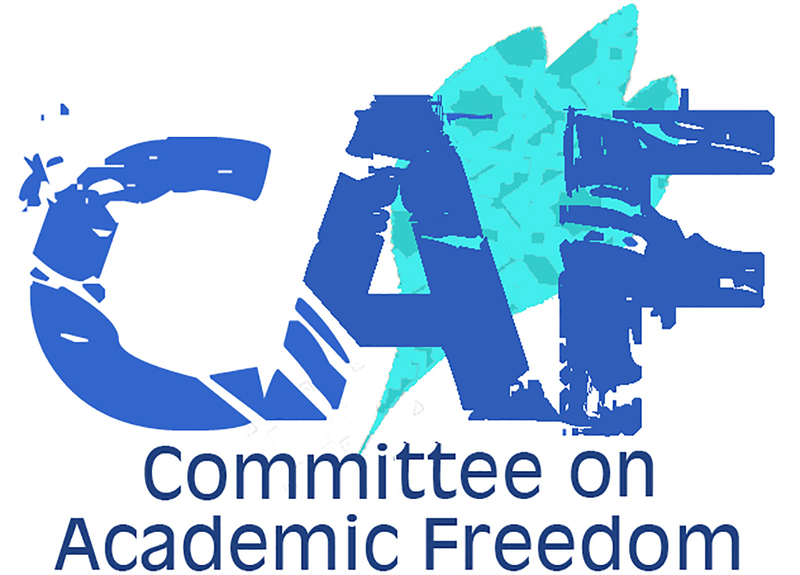 CAF, along with Scholars at Risk, believes that Dr. Al-Singace is a prisoner of conscience, a man jailed solely for the non-violent expression of his political beliefs. Letter to Florida Atlantic University Interim President about the university’s response to a protest organized on April 19, 2013, by Students for Justice in Palestine.